Since 2014, Zoe Reynolds has been making music under the Kississippi moniker, but the release of her debut full length, Sunset Blush signals a change for the artist. Following a series of demo releases and EPs, Reynolds believes she has finally found her voice, calling Sunset Blush an honest recognition of the music she always wanted to make. 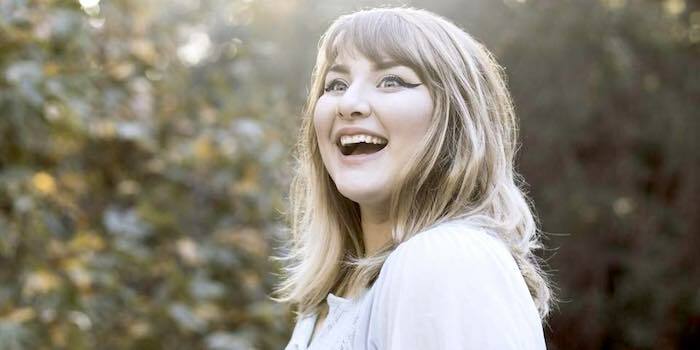 The album fully immerses listeners in Kississippi’s sincerely heartfelt world, with Reynolds sharing every strength and struggle that fueled her writing. The album’s namesake comes from a flavor of boxed wine that’s frequently appeared throughout Reynolds’ adulthood; consumed on rooftops reached by ladders or in between sets at house shows. The album enlivens these moments saturated in nostalgia for listeners, Sunset Blush is more than just a debut, it’s Reynolds’ reassurance to herself and others that even when things are at their worst, brighter days are ahead, and you have the strength needed to get through it. This is a solid new album. Zoe’s voice sounds more confident and quirkily charming than ever. From the get-go the band feels tighter and more agile than on any previous release.